As a way to thank all of you for stopping by the site every now and then and to facilitate the great simplification I’m undergoing, I thought I’d put one of my very lightly used Pilot Metropolitans up for a giveaway. 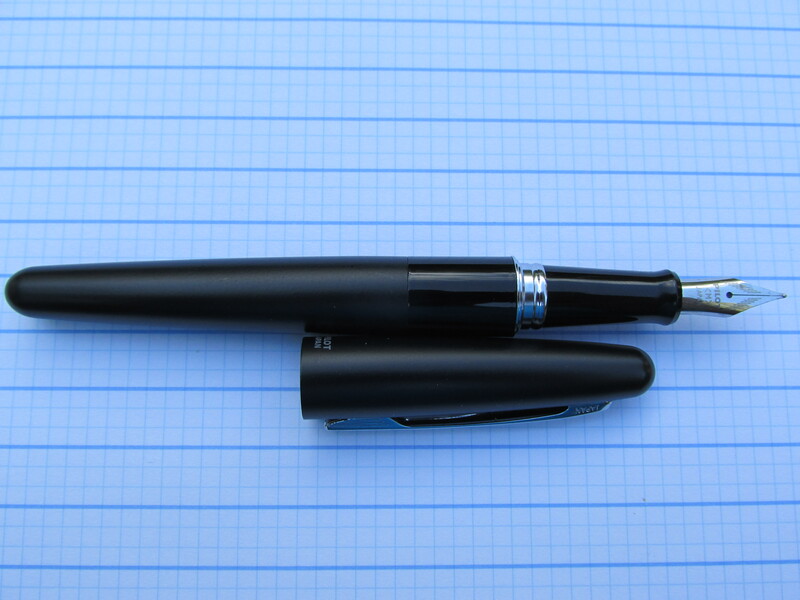 As you can see, this is the all black Metropolitan with a medium nib. There is a squeeze converter inside the pen as well. To participate in the giveaway, simply offer a comment to this post. To make it a bit more interesting, please include your current favorite writing implement in the comment. We’ll leave this giveaway open until 10:00 pm EDT on Tuesday 8/11. The winner will be determined by a random drawing. Thanks again for reading and good luck! Posted on 08/07/2015 by Todd	This entry was posted in Fountain pen, Giveaway. Bookmark the permalink. The Metropolitan is one of my favorites. I had three of them (F, M, and a stub that I pulled from a Plumix) and then dropped the M nib tip-down on a hard surface, so I appreciate the opportunity to replace it. I think the value they offer is hard to beat. When not using a Metro I like finer gel pens like the Energel, Signo DX, and Juice in 0.38 or 0.5. My favorite writing utensil is currently the Platinum Preppy. I’ve been using it a lot lately, since I’ve been traveling and didn’t want to bring anything nicer. My favorite pen at the moment is a Tactile Turn Mover with a Pilot Juice refill. My top favorite (of what I have) is the pelikan M400 EF, but I pretty much love anything pilot. My current favorite is a white tiger Metropolitan with Pelikan Turquoise. Thanks for the chance to win. Just getting into Fountain Pens. I love my Pilot VP Matte Black with Fine point. Thanks for the giveaway and the great community you’ve built up here! Currently I’m really enjoying a Pilot Kakuno. It’s a fun pen. All-time favorite is still my first: Pilot VP in matte black. Generous! I have to say my Murex is my favorite. If won, I’ll give away the Metro to a newbie! My favourite pen would be the Kaweco Liliput EF and very much the Pilot VP F nib. Hi Todd, I love the idea of a great simplification in your writing implement life! Looking at my desk right now perhaps I should sign up too….My current favourite writing implement is a Karas Kustom Ink fountain pen. I love its heft and physicality. My favorite (and only fountain pen) is a FPR Indus Demonstator. I would love to win the Pilot Metropolitan (it’s a pen on my wish list). I’m currently trying to master a Noodler’s Ahab flex pen. It’s super fun playing with the line variation and different script/calligraphic styles. I’m really loving my Parker Urban Premium Matte Black at the moment. I am subscribed via Feedly and I enjoy reading your articles. I am new to fountain pens and I heard Metropolitan is great start. So far, I was more oriented towards gel ink pens. As many others I find Signo DX to be my fav. Pilot pens are cool but anything dollar store related is good too! Would love to get quality pens though! My current favorite is also my newest: My Moody from Shawn Newton. Thanks for the giveaway. Thanks for this giveaway! My current favorite writing instrument is my Lamy Demonstrator with LH nib. So my current favourite is a Noodler’s Creaper. I like the colour and the feel of it writing in my hand. My current pen is a titanium Tactical Tuff-Writer! I’d love to try the Pilot Metropolitan. My current pen is a titanium Tactical Tuff – Writer. But I’d love to try the Pilot Metropolitan. The soft fine nib ona vintage Pilot Elite I have is probably my favorite. However, the Pilot Metro is a great everyday pen also! Current pen is a Lamy Safari. Thanks for the offer! Funny, the first fountain pen that I fell in love with was a Metropolitan. I eventually put a Plumix nib and a Con-50 into it, and I still use it almost daily. My current favorite is a TWSBI Vac-700 with an EF nib that I travel with and use for daily writing. At the moment my favorite is the techliner from Ti2 designs with a signo 207 refill. 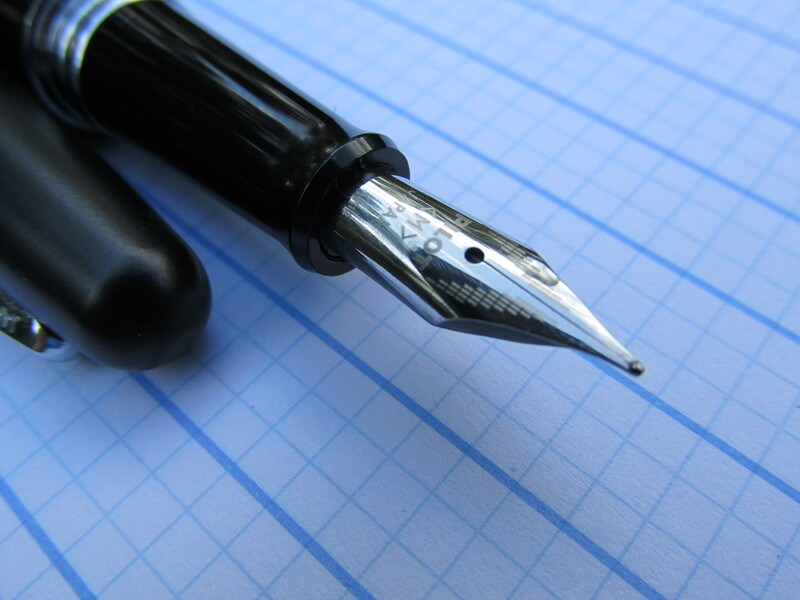 My current favorite fountain pen is my pelikan m205 with a fine nib. My favorite and most used writing instrument is a Pilot Decimo (vanishing point) with a medium nib. I’ve read that the Metropolitan is a great bang-for-your-buck pen and I’d love to try one out. I’ve heard the nibs are swappable with the Prera and other mid-range Pilot pens, but I have no experience doing that and can’t recommend it one way or another. Packaging and Price Point Considering the Metropolitan is priced at a whopping $15.